This ASLU volume examines the built environment and aspects of domestic material culture of the Late Byzantine/Frankish, Ottoman and Early Modern Cyclades in the Aegean (13th – 20th centuries). 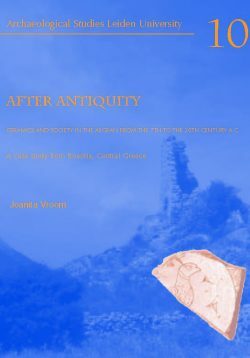 On the basis of primary archaeological data gathered by the Cyclades Research Project, this monograph’s aims are the reconstruction of everyday domestic life in towns and villages, the identification of socio-cultural identities that shaped or were reflected on pre-Modern material remains, and the history of island landscapes through the study of certain aspects of material culture. 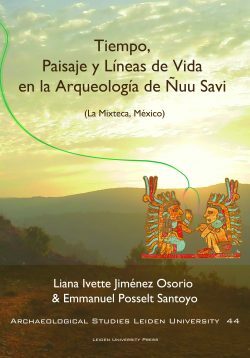 Aspects of ‘material culture’ analysed in this study include settlement layout (fortified settlements and undefended nucleated villages), domestic buildings (housing of urban character, peasant housing and farmsteads), ceramics (locally produced and imported glazed tableware), internal fittings (built structures and mobile fittings) and island-costumes (male and female dress codes). 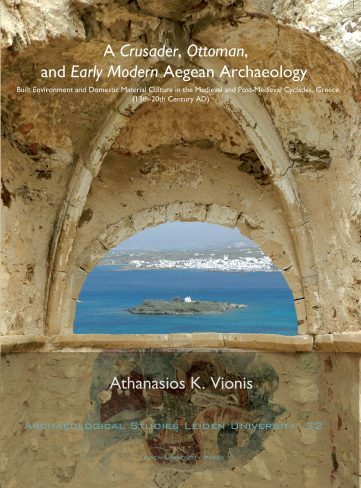 Vionis' new work … brings together an entirely new way of observing and understanding the archaeology and history of the Greek islands. 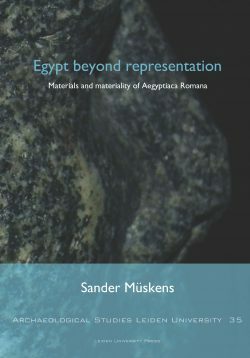 For the first time it is now possible to achieve a genuine perspective from the recent past to antiquity and to recognise the diversive cultural richness of the Byzantine, Frankish and Ottoman eras. – Jim Crow, Professor of Classical Archaeology, University of Edinburgh.